I was saddened to hear of Elmore Leonard’s passing at age 87. He leaves behind a legacy of fantastic writing and his influence will continue. 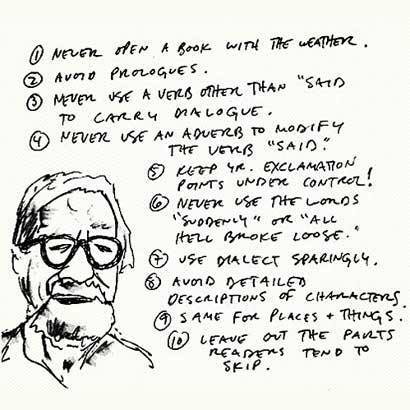 As a tribute I’m posting his ten rules of writing, but I also recommend picking up one of his many works to see how he could impart more in a few sentences than others could in an entire chapter.